As mentioned yesterday, this was a big week with the chickens – the annual changing of the litter! (listening for hens everywhere to start cheering) It isn’t quite as gross as it sounds. 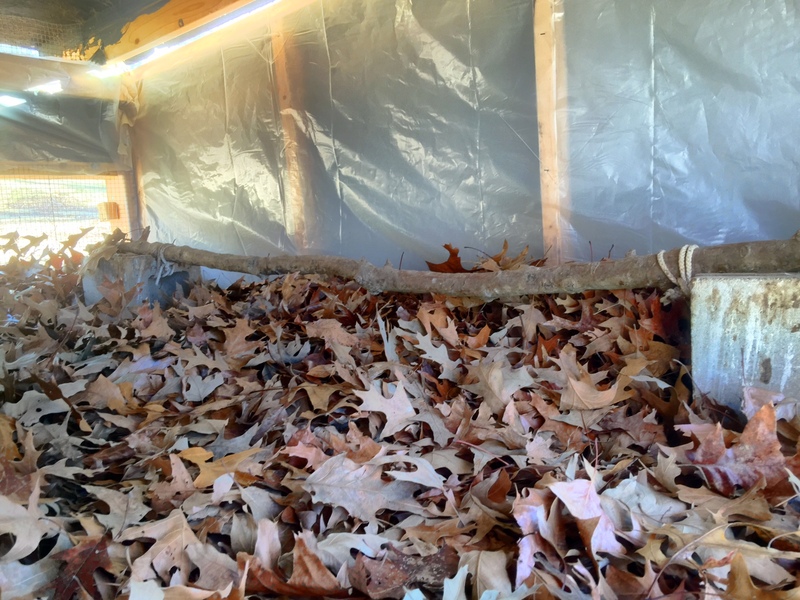 We use the deep-litter method with our hen house, which means I fill the coop with a very thick layer of oak leaves once a year. 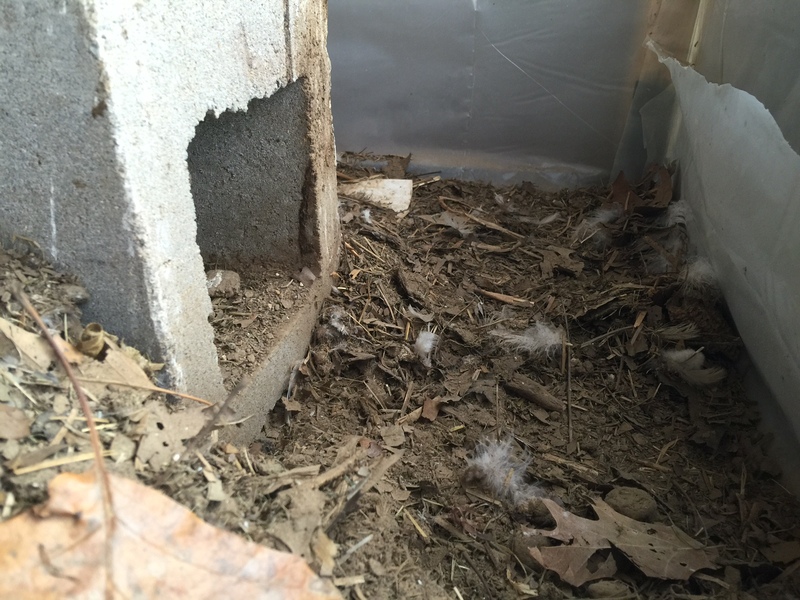 During the year the hens poop in it, stir it up, aerate it, tear it up, and cause it to compost. This means you never really have a strong smell, but instead you have soil being built. However, you must change that out periodically, not only for the hens, but for you to have the benefits of it. This past weekend was that time. You may notice it was not thick everywhere. That is because of the hole in the floor. 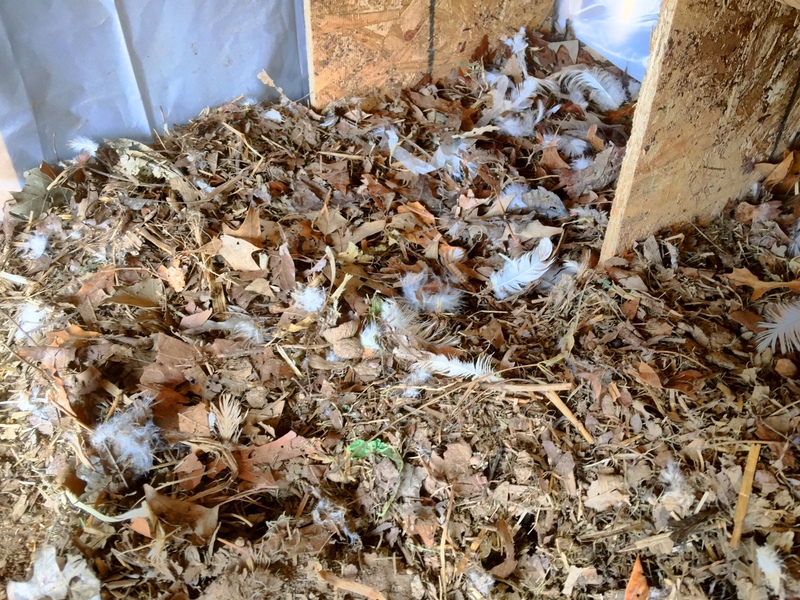 The silly ladies knock the leaves down into the bottom of the coop, into the run, over time. I typically then use a pitchfork to move it from the run back to the coop to keep a good thick layer there. I haven’t really stated it yet, but as I understand it, the thick layer is essential to give enough dry brown material to keep the stench down. 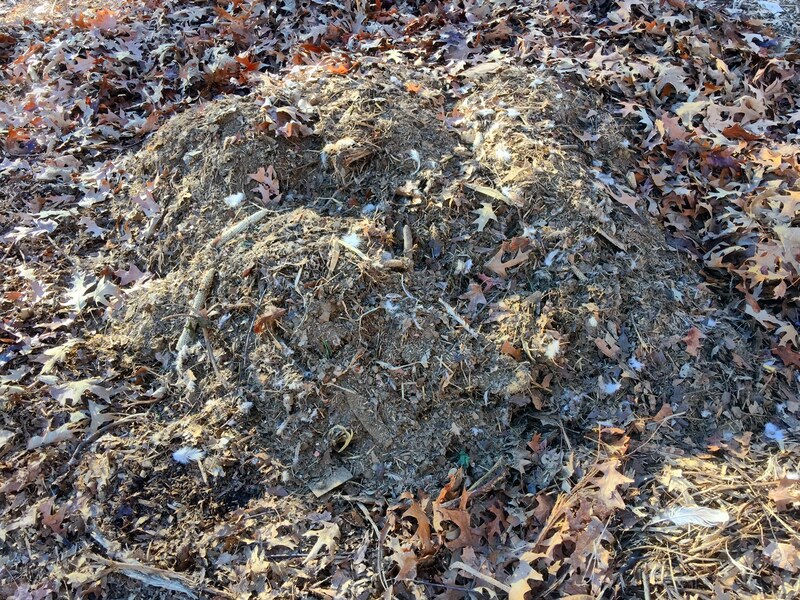 It is really much like composting. You can see how much compost this created in a year, and this is far better compost than you might get from any store. It is all organic, all homegrown. I know what is in this compost, and I know it is good. I also put it in the run because I need plenty of material to add to the coop throughout the year. It is essential to keep a thick layer there. As the litter in the coop runs this, I will scoop some from the run up into the coop. Believe it or not, this will all be smashed down to a thin layer in just a few days. The only other thing going on with the hens this week is a bit of an upswing in egg product. Last week was eggs, whereas this week we had 29, and 9 of them were Easter Eggers! If we compare that to last week, we see the Rhode Island Reds laid the same amount (20) and the Easter Eggers upped their production by 7 eggs! Go Easter Eggers! It won’t be long until we see those numbers really jumping up. I am very anxious for that. 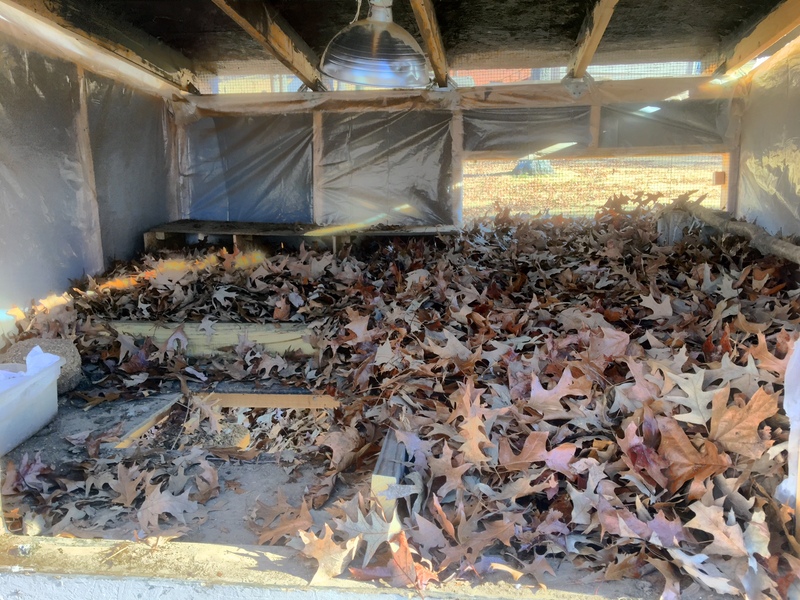 This entry was posted in Chickens, Hobbies, Pictures and tagged in chicken, chicken litter, chickens, coop, Easter Egger, Easter Eggers, litter, Rhode Island Red, Rhode Island Reds, run.